Christine Feak is the lead lecturer for graduate writing courses at the English Language Institute, University of Michigan. She is co-author (with John Swales) of Academic Writing for Graduate Students and the English in Today’s Research World book series. She is also co-editor of English for Specific Purposes. One widely-shared metaphor that describes for Ph.D. students a way of looking at research writing is that of the Burkean parlor (Burke, 1973). The metaphor suggests that research writers (knowledge makers) should envision themselves as individuals who are eager, but late, contributors to a disciplinary conversation in a room where the conversation has been taking place for some time. New participants listen and wait to contribute as they pick up the threads of the conversation. Having ascertained where the conversation has been and is going, they cautiously step in. This metaphor often resonates with Ph.D. students who are writing up research, providing excitement that some hidden knowledge has finally been revealed. As attractive as this metaphor is, however, students quickly realize that it merely highlights what to do, providing precious little in terms of how to actually enter into the conversation. Critical questions remain. How well do I need to understand the participants and their contributions to the conversation in order to join in? How do I make a meaningful contribution to extend the conversation? How do I do position myself within the conversation? What language do I need? Should I argue, critique, or confirm? In short, what are the disciplinary rules, both explicit and implicit, to be followed? One would expect that such questions would be addressed in conversations with advisors and, perhaps, committee members. Yet, answers may be revealed by advisors only when norms have been violated or have been incompletely met. In some cases no answers are provided at all. Increasingly, research is highlighting the challenges many advisors face in scaffolding their Ph.D. students’ writing, modeling the writing process, and making explicit their tacit knowledge of writing (Brown, Collins, & Duguid, 1989; Paré, 2011). This difficulty is often attributed to a lack of preparation for this role (Paré, Starke-Meyerring, & McAlpine, 2011). Other factors may be the “curse of knowledge” and a limited vocabulary for talking about writing and for explaining how (and why) to accomplish something in writing. Lacking the means to offer explicit guidance on disciplinary writing, some advisors simply give up and tell their students to seek writing support elsewhere. As one of my students was told, “I don’t know how to teach you what you need to know. I can’t help you” As surprising as this comment may be, it is not uncommon and raises some interesting questions. What about a Ph.D. student’s writing would cause an advisor to simply give up? At what point in a Ph.D. student’s trajectory might this occur? How can this impasse be addressed? To address these questions, my talk will focus on three case studies of Ph.D. students whose advisors appeared to have given up on them. I have two goals in mind. This first is to shed light on the complex issues contributing to the advisors’ unwillingness to offer more writing support. This will involve exploring the students’ texts, advisor feedback on them and how students handle that feedback. The second is to suggest the ways that EAP writing instruction can play a role in mitigating the writing mentoring challenges of advisors and Ph.D. students. Burke, K. (1973). The philosophy of literary form. Berkeley, CA: University of California Press. Paré, A. (2011). Speaking of writing: Supervisory feedback and the dissertation. In Doctoral education: Research-based strategies for doctoral students, supervisors and administrators (pp. 59-74). Springer, Dordrecht. Paré, A., Starke-Meyerring, D., & McAlpine, L. (2011). Knowledge and identity work in the supervision of doctoral student writing: Shaping rhetorical subjects. Writing in knowledge societies, 215-236. 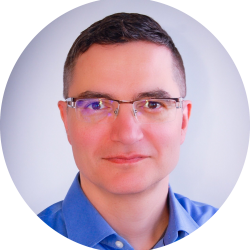 Guillaume Gentil is Associate Professor in the School of Linguistics and Language Studies at Carleton University, Ottawa, Canada and former co-editor of the Journal of Second Language Writing. His research interests in second language writing and biliteracy development in professional and postsecondary settings originated from his academic literacy experiences in France, the USA, and Canada. This interest has resulted in several case studies and institutional ethnographies of academic and professional biliteracy over the last twenty years with a threefold focus on multilingual writers’ motivations for biliteracy, individual and institutional strategies for biliteracy, and ways to design enabling contexts for biliteracy. This research work has appeared in Canadian Modern Language Review, Discourse & Society, Journal of English for Academic Purposes, Journal of Second Language Writing, Written Communication, and several co-edited books. The theoretical and programmatic piece “A biliteracy agenda for genre research,” originally published in JSLW, was reproduced in The Best of the Independent Rhetoric and Composition Journals, 2011. As a technology for inscribing meaning on a surface, writing keeps evolving with the tools that mediate it. While the evolution from wood styli and clay tablets to pen and paper was slow, it has become harder for writers to keep up with fast-paced technological changes in devices and applications. Technological advances not only transform writing and language practices, but also present new affordances and challenges for researchers and teachers of writing. Drawing on my own research on academic biliteracy and experience as a biliterate scholar, I consider ways in which technological developments have changed how I have investigated and written about multilingual and crosslingual writing development in academic contexts over the last 20 years. Of interest will be potential technological enhancements in ethnographic approaches to academic writing research, notably in helping to capture and analyze student writers’ use of technologies (e.g., online translation tools, touch screens, word processors) as they read and write across languages in the context of their studies. Research options are weighed in light of their potential benefits for better understanding literacy development in multilingual contexts and developing pedagogy for multi/crosslingual literacies. Theresa Lillis is Professor of English Language and Applied Linguistics at The Open University, UK. Her teaching at the Open University is at undergraduate, masters and doctoral levels and draws on the fields of applied linguistics, sociolinguistics, New Literacy Studies, linguistic ethnography and language and globalization. 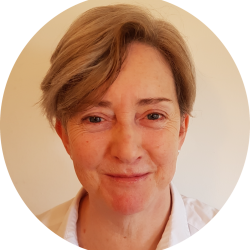 She has taught English as a second language at primary, secondary, adult and higher education levels as well as courses in academic writing and writing for publication. Her research interest in writing across a range of academic, professional and everyday domains of practice centres on the politics of production and participation. In this presentation my aim will be to reflect on what I have come to understand and value in ethnography as a research orientation for exploring what it means to do academic writing. I will draw on data from three different ethnographically oriented research projects in multilingual and monolingual contexts of practice – student academic writing (e.g. Lillis 2001, Lillis et al 2015), scholars’ writing for publication (e.g. Lillis and Curry 2010, 2015), writing in professional social work (e.g. Lillis, 2017) – to outline the potential value of ethnography for enhancing our understandings of the nature, meanings and consequences of academic writing. I will illustrate ethnography as methodology, outlining some of the opportunities and challenges. I will also argue for a conceptualisation of ethnography as ‘deep theorising’ (Lillis 2008, after Blommaert 2007), that is, as a critical intellectual project which aims to illuminate the nature of specific social phenomena by paying careful attention to specific moments of practice, with emphasis on emic perspectives and robust researcher reflexivity. I will pay attention in particular to the issue of time, in relation to methodology- the value of sustained engagement in a field of practice – and in relation to the key object of our study- written academic texts, reconfigured from discrete boundaried units, to text histories, clusters and trajectories. Blommaert, J. (2007) On scope and depth in linguistic ethnography. Journal of Sociolinguistics, 11, 5: 682-688. Lillis, T. (2008) Ethnography as method, methodology and ‘deep theorising’: closing the gap between text and context in academic writing research. Written Communication, 25, 3: 353- 388. Lillis, T. (2017) Imagined, prescribed and actual text trajectories: the ‘problem’ with case notes in contemporary social work. Text and Talk, 37-4:485-508. Lillis, T. and Curry, M.J. (2015) The politics of English, language and uptake: The case of international academic journal article reviews AILA Review 28: 127–150. 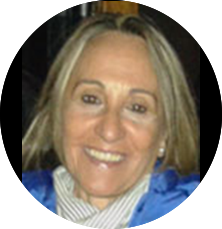 Rosa Manchón is Professor of Applied Linguistics in the Department of English at the University of Murcia, Spain, and former co-editor of the Journal of Second Language Writing. Her research explores L2 writing processes and strategies, more recently from the perspective of the connection between L2 writing and L2 learning. She has published extensively on these issues in the form of journal articles, book chapters and edited books, including Learning to write and writing to learn in an additional language (John Benjamins, 2011), L2 writing development. Multiples perspectives (De Gruyter, 2012), Task-based language learning. Insights from and for L2 writing (John Benjamins, 2014. With Heidi Byrnes), Handbook of second and foreign language writing (De Gruyter, 2016.With Paul Matsuda), Writing and language learning. Advancing research agendas (In preparation, John Benhamins), and Handbook of second language acquisition and writing (under contract, Routledge. With Charlene Polio). This presentation intends to be a journey through key theoretical and empirical developments in the study of a crucial dimension of L2 writing across contexts, genres, and writers: The processing dimension of creating texts in an additional language. I will explore the roots of research preoccupations in this strand as well as the marked shift in orientation in this scholarly work from an initial interest in contributing to model building in L2 writing studies, to a contemporary attempt to shed new light -from the perspective of writing- on key learning processes in language learning studies. Key empirical advancements in these evolving research agendas will be presented and critically assessed from the dual perspective of the contribution this research has collectively made to current understandings of (i) the phenomenon of learning to write in an additional language, and (ii) the way in which writing in an additional language can contribute to language development. The journey through the evolution of empirical work in the domain will also include a critical reflection of traditional research methodology orientations, methods, and instruments, as well as of the affordances of new research tools and methodological approaches. I will illustrate these research methodology considerations with reference to a comprehensive program of research on the processing dimension of writing and feedback appropriation currently underway at the University of Murcia. I shall finish with suggestions regarding which future research agendas would most productively extend the inquiry into the processing dimension of L2 writing. 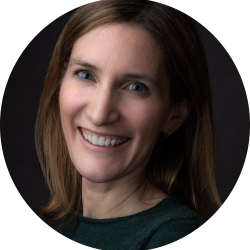 Christine Tardy is Professor of English Applied Linguistics at University of Arizona, where she teaches graduate and undergraduate courses in applied linguistics, TESOL, and second language writing. Her research explores second language writing, genre theory and pedagogy, academic writing, and policies and politics of English. 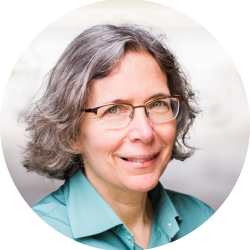 Her most recent books include Beyond Convention: Genre Innovation in Academic Writing (University of Michigan Press) and Ethnographic Perspectives on Academic Writing (with Brian Paltridge and Sue Starfield, Oxford University Press). What is (and Could Be) Thick Description in Academic Writing Research? One hallmark of ethnographic research is that of “thick description,” a concept often associated with the work of cultural anthropologist Clifford Geertz. As Lillis (2008) explains, “thick description and thick participation help move the researcher towards emic perspectives and towards analytic lenses that help foreground what is significant to writers from their specific sociohistorical perspectives” (p. 373). They are often achieved through the use of multiple, layered sources of data, collected over time and ideally aiding the researcher in interpreting the data in richer ways. Thick description is frequently referenced in ethnographic research, including in qualitative studies of academic writing, though the term itself is rarely unpacked and may at times be used roughly as a stand-in for “multiple data sources.” What qualifies as “thick description” in a study of academic writing? What methodological tools might help writing researchers engage in thick description and its interpretive practices? In this paper, I explore the roots of the term “thick description” in ethnographic research and its current adaptations in academic writing research. I also consider potential tools for enriching our methodological practices in the pursuit of a layered interpretation of writing in its social contexts. 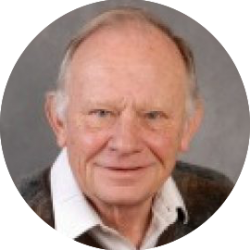 John M. Swales is Professor Emeritus of linguistics at the University of Michigan, where he has Director of the English Language Institute from 1985 to 2001. His latest book-length publication is the 20th anniversary edition of Other Floors, Other Voices: A textography of a small university building. (University of Michigan Press, 2018). Ethnographies of Academic Writing: The Writing on the Wall? Ethnography is a serious word and a serious undertaking, being, amongst other things, “a matter of prolonged fieldwork”. In a classic ethnography of the research world, Bruno Latour spent two years observing what was going on at the Salk Institute in San Diego (Latour & Woolgar, 1983). Apart from a rare sabbatical or the extended research of a doctoral thesis, EAP practitioners, in contrast, are rarely in a position to attempt more than ethographically-tinged case studies. Leading practitioners of this craft (Belcher, Cheng, Curry, Flowerdew, Li, Lillis, Tardy, etc) have produced remarkable insights and these illuminating vignettes go back to the early days of ESP. However, ethnography as a discipline is today fraught with perils and problems such as “other appropriation”, misleading selectivity, and a pseudo-detached authorial stance. Further, in today’s multi-modal and digital era, the ethnographer’s methodological tool-box has become increasingly cumbersome. In this talk, I assess the opportunity-cost of the case-based approach with that of textographic approach and, in so doing, attempt to grapple (once again) with the issue of how much context really needs to be taken into account.